This is the 2nd Lizard Ridge afghan I’m doing. The first one was such joy to make, albeit a long time in the making. For this 2nd one, instead of knitting 30 blocks of Noro, I’m opting for Lanaloft Wool and just one continuous row after the other, interchanging solid color with a variegated one. 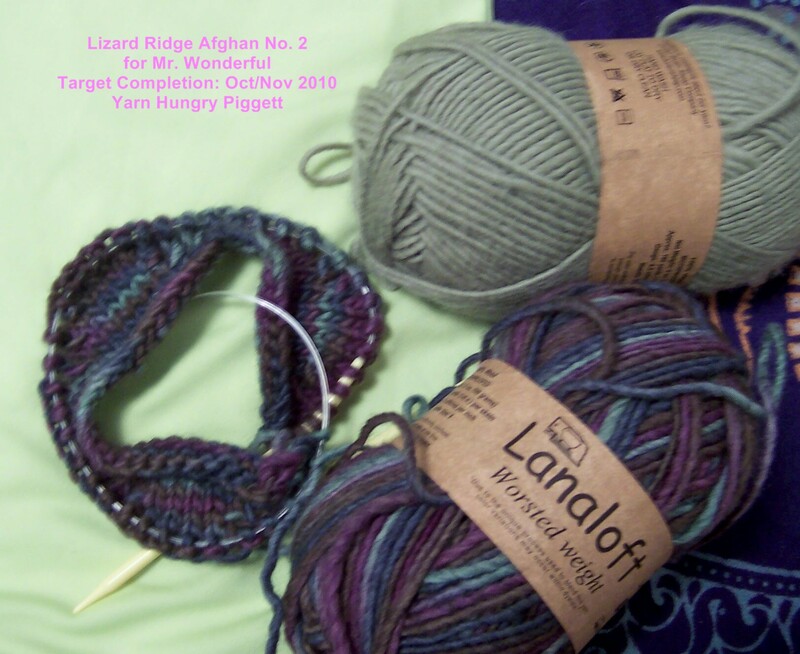 Lanaloft is slightly thicker than Noro. A size 9 needle will make the afghan wider and longer, which is what I wanted. This way, it will totally cover the queen-sized bed. Having to start in February will give me ample time to finish up before the intended recipient’s birthday (my husband’s) in December. 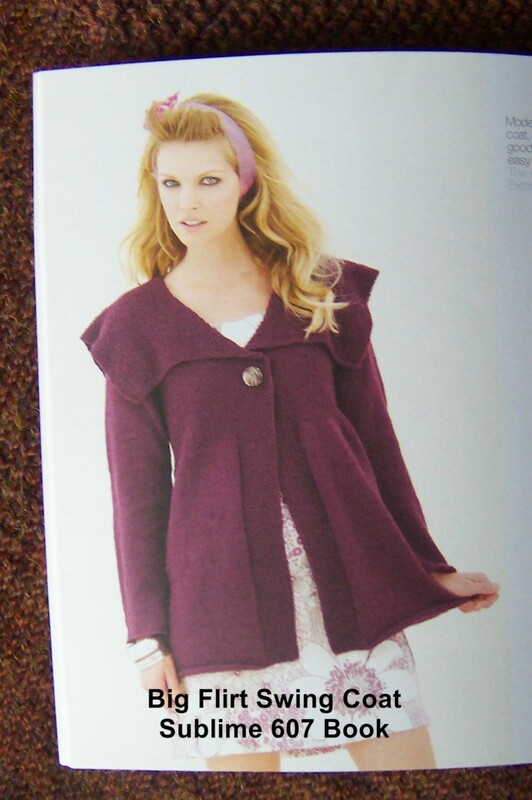 I love the look of this coat, rather loose. It would go well with pencil jeans or tights. I love tights. Hopefully, I can finish this in less than 2-3 weeks. The back side is already done and it only took me 4 days. Yeah, laugh….4 days is really pushing it, especially if it’s being done on my lunch breaks. I’m really making a sweat here. 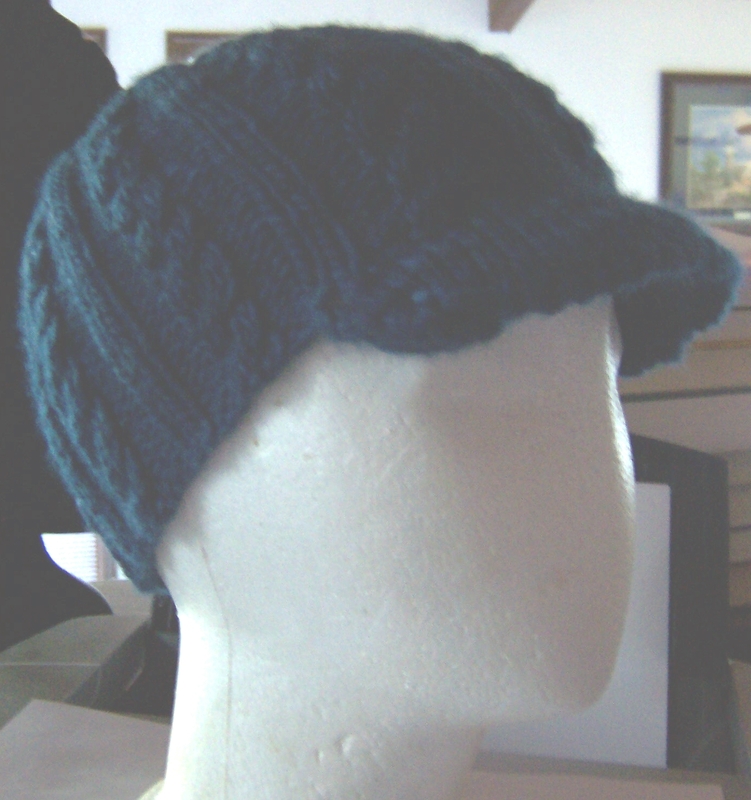 This project is test-knitted for Lily. I have previously done a test project for Lily Go, and I find her designs appealing. 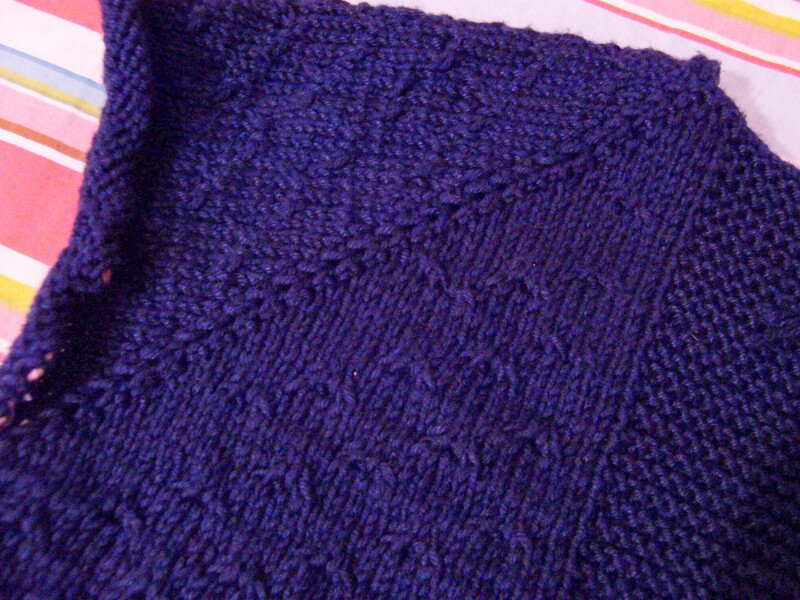 Since crochet isn’t my forte, I will swap with a knit-edge design on the sleeves instead. 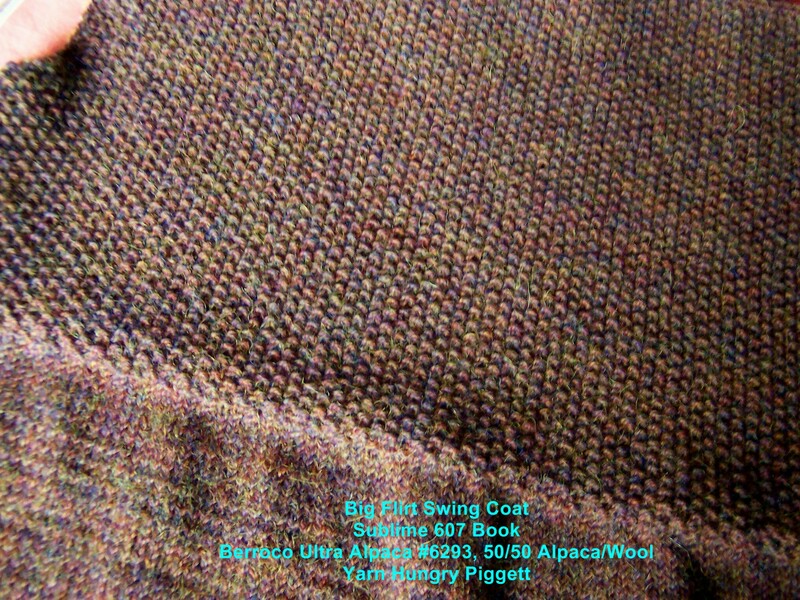 The details on photo below does not show holes yet (project will have to be blocked to appreciate design); and since yarn color is a bit on the dark side, I lightened up the tone of photo, again, to appreciate the details. This project is the last of the 2009 projects, even if it had not been finished. I already have a 2010 project cooking in the oven, so to speak.